The festive season is upon us and what better way to celebrate it than with mouth-wateringly delicious chicken eats? ‘Tis the season for entertaining, spending time with loved ones, and enjoying the South African sun. If you’re a little tired of chicken on the braai and the usual roast or fried chicken, be adventurous and try something different for your next gathering. Your family and guests will love it. We’ve rounded up some of the most interesting and fun chicken recipes for your summer parties right here. The main ingredient in these recipes is fresh, great quality chicken. All you need to do is grab a pack of Riversmead Farm (http://www.riversmead.co.za/) chicken and get cooking. 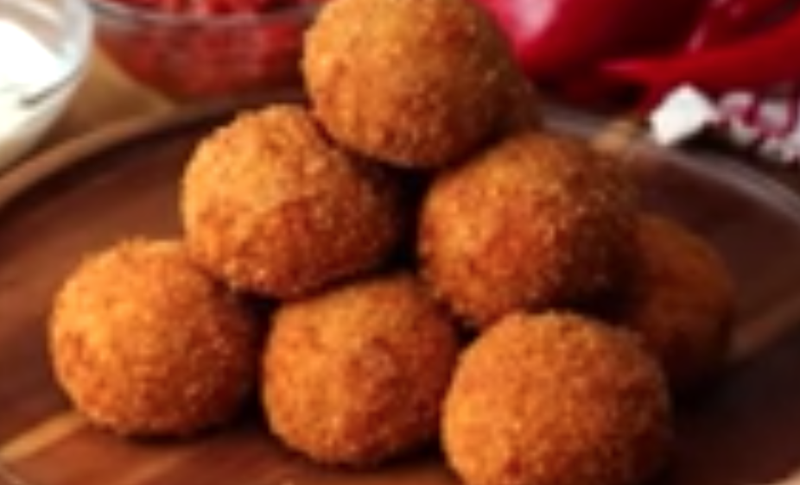 These delightful and delicious chicken arancini balls are sure to be a hit at your next party. Forget boring chicken kebabs, these flavourful kebabs will have your guests cheering for more. Chicken poppers or nuggets will definitely be a big hit with old and young guests. Serve these and rest assured everyone’s tummy will be thanking you. This recipe gives you four ways to prepare them. Chicken wings are always a crowd favourite. Keep everyone happy with this great and easy-to-prepare chicken wing recipe. You can never go wrong with nachos at a party. Easy to prepare and so tasty, your guests will love it. This version with chicken looks amazing. Chicken and cheese go together like chips and tomato sauce. These cheesy chicken sticks are delicious and gooey, and perfect for a party treat. All aboard this tasty snack boat! This party snack is easy to prepare, different to the normal fare, and lip-smackingly delicious. Check out Riversmead’s range of chicken products to create all these great recipes. Choose from breasts, legs, thighs, wings, and so much more. With strict quality standards and sustainable and green farming practices, you can be assured of tasty, fresh, and ethical products which are good for you and the family. Visit www.riversmead.co.za for more information.